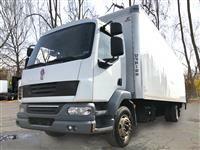 Looking for a truck and can't find just what you are searching for? Let us help you! Simply fill out our I Need A TruckTM form and we will contact our dealers and assist in finding the truck that is right for you! We support the mission of the National Trailer Dealers Association to promote the general good will and public relations of the independent trailer dealers and advocate high standards of service and conduct in the truck trailer industry. We support the efforts made to educate members on important matters affecting the industry. We will continue assist in broadening the management skills of the individual owners/managers, stimulate members sales growth and profitability, and provide a forum for communications between members and other segments of the industry. Every member of our courteous and knowledgeable sales staff has years of truck sales experience. .. they speak your language!